Enagage Packet Builder tool allows us to create custom packets and helps us spoof our IP addresses, set custom flags, number of packets etc. It is a wide tool. So before reading this read a little about Enagage Packet Builder tool. 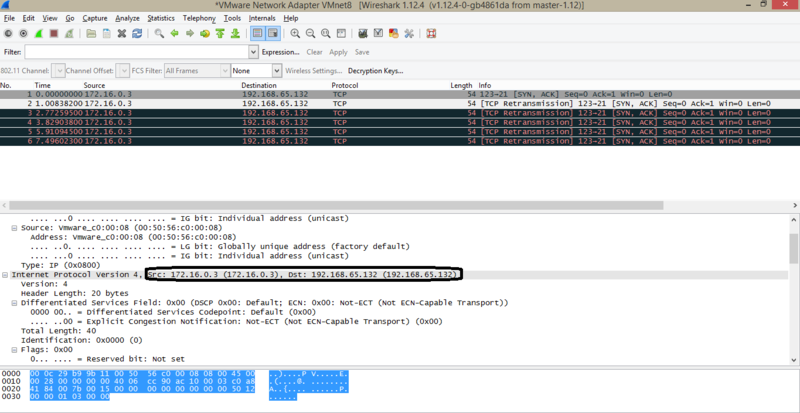 Open up Engage Packet Builder and You will see Network Interface option.Choose the network interface here. Since I’ll be showing you this on virtual lab so I am Choosing VMware virtual Ethernet Adapter. Set the Source IP as any class IP. We are choosing class B private addressing for source address which is 172.16.0.0 . And destination address is the address of my vmware machine. Here, we have set the no. of packets as 1. and flags are set to ACK and SYN. Click SEND and the packet will be sent. Now let’s see if the packet is sent in real. 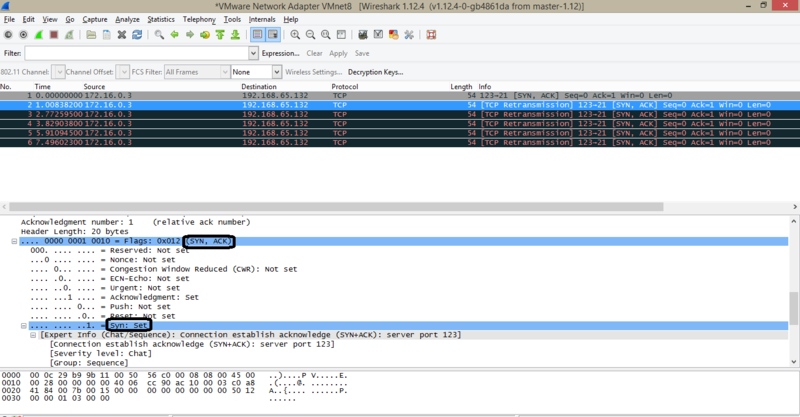 On the target machine open up Wireshark and start packet grabbing on the same network interface as we chose above in Engage Packet Builder. In the above images you can see that flags are set to ACK and SYN and the packet Source address and Destination address is also changed. This is how the IP address are spoofed.But this is just the beginning step. There is nothing to be more curious here. I just showed you how to change the source address and spoof your identity as IP address. This tool can do more than that. Engage Packet Builder also helps in DOS attacks and more lets skip it till next tutorial.